Uvalha is a native of Atlantic rain forests of Brazil between elevations of 300 to 1500 m.. It is also cultivated on a small scale there. 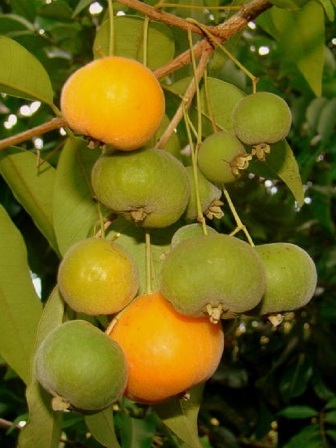 However, this fruit has not reached outside Brazil yet and is virtually unknown. A semi-deciduous tree, 5-15 m tall with a smooth and peeling bark; trunk 30-50 cm in diameter. 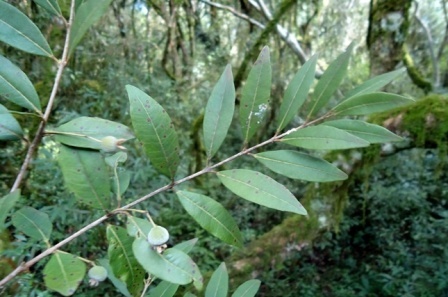 Leaves sub-coreaceous, densely serisericeous on inferior surface, especially on new growth, 4-7 cm long, aromatic when crushed, young leaves reddish in colour. Flowers white, axillary, with a pubescent peduncle of about 2 cm, dichsial trifloral or frequently slightly compouynd. Fruits piriform or globose, 4-5 cm in dia, velvety, with a thick pulp, very succulent with an acidic or sweet flavour. The fruit has great potential for the production of fermented beverages such as wine and good vinegar. The pulp can produce delicious ice cream. The wood is of medium texture, moderately heavy, hard, very durable. It is only used locally for items such as fence posts and poles. The wood is used for fuel and to make charcoal. Uvalha is an extremely adaptable plant. 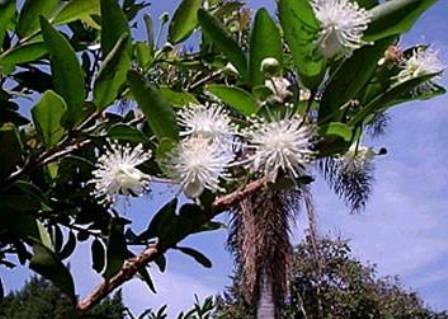 It and can be grown in climates with annual temperatures between 18 and 26 and down to -4 C. It requires a well drained, preferably slightly acid soil. Environmentalists recommend it for reforestation of degraded lands. New plants are raised from seed which should be sown as soon as possible as it loses viability after 60 days. 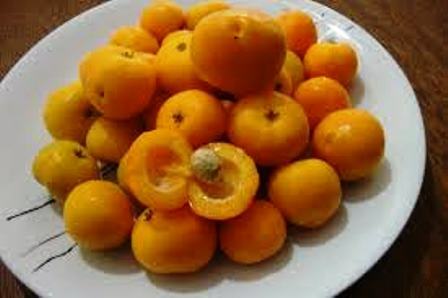 There is a lot of variation in size and quality of fruits. 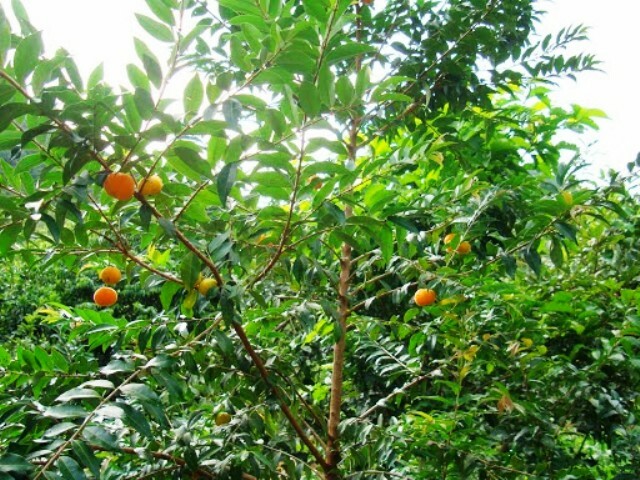 There is also a large fruited type with relatively more sweet fruits. The fruiting begins after 2-4 years.